Why Do I Get Sinus Infections? In a fit over sinus infections? It might sound cliché, but the first step to getting well is getting to the root of the problem. But why are you getting those sinus infections in the first place? It’s always best to check with your doctor — who might refer you to an ear, nose and throat specialist — but here are some common underlying causes. Surprised? The Mayo Clinic has found that breathing in fungus and mold is actually a big culprit for sinus infections. Whether allergies are seasonal or ongoing, they can be linked with sinusitis. What’s more, the symptoms of an allergy attack can actually mimic a sinus infection, so it’s important to ask a sinus specialist what’s going on. For some people, stomach acid escapes into the throat and nose, even without typical heartburn or indigestion symptoms. This can lead to sinus infections with a heavy postnasal drip, or even a choking sensation. Certain foods (fatty, spicy, fried…) can make acid reflux worse. 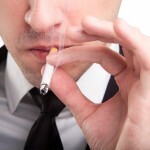 Cigarette smoke irritates the nasal passes and sinuses. It also can cause the body to make more stomach acid…which might lead to acid reflux again. If you can’t kick the sinus infections, it’s best to consult a doctor, who can do look into your medical history, ask more questions and recommend special tests, if needed. Sometimes, patients even have multiple underlying causes of sinus infections. So it’s not easy — and not recommended — to self-diagnose without a doctor’s help. We have a group of seasoned professionals that will be happy to help you find answers. Tired of suffering through sinusitis? Please contact us.